SKU: H319 12. Categories: Ashley, Home Office. Tag: h319. The richly detailed mission design of the “Cross Island” home office collection captures the beauty of rich country style with a versatility that enhances any home environment. The medium brown oak stained finish is beautifully accented by the mortise through ornamentation to create the rustic beauty of finely crafted mission styled furniture. 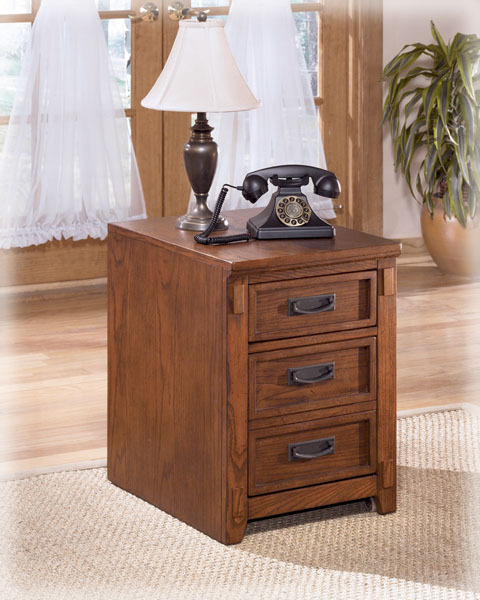 With ample writing area and plenty of storage space, this desk offers a versatility that greatly enhances any home’s decor. 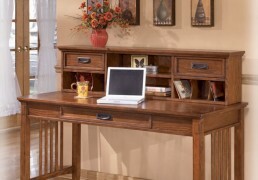 Accent your home’s beauty with the rustic style of the “Cross Island” home office collection. 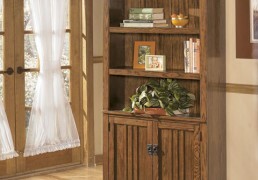 Series Features: Traditional mission styling with a medium brown oak stained finish. Constructed with oak veneers and hardwood solids. Desk hutch has closed storage. Modular desk has laptop drawer w/ internet port and electrical outlet. 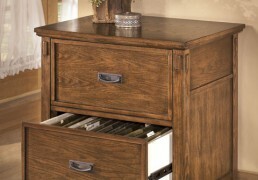 File cabinet drawer features full extension side mount roller glides. Metal file holders are also a feature of the file cabinet. Overlay blocks added to the posts to create a mortise through look of mission style furniture. Pull-out keyboard tray is covered with black PVC for durability. 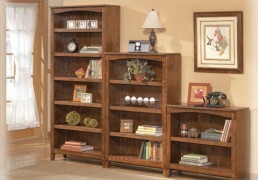 Adjustable shelves on bookcases.